We really do have the top best DJs and KJs suited for Karaoke and live entertainment here in Dallas Fort Worth & Surrounding Areas. We Deejay at most of the top notch Karaoke Bars Here in Dallas and have some of the Best Karaoke Shows you will attend. With more than 100,000 karaoke titles and an additional 50,000 music videos and comedy clips, we are the metroplex’s top choice for Karaoke and DJ entertainment. We’re a fun group, and we’ve created a karaoke community with our online blog. Please take a minute to get registered on our text blast list and learn more about karaoke and My Karaoke DJ! Here is a list of our most famous Dallas DJs. has spent years enjoying and researching the karaoke entertainment industry. He gives you a cutting-edge service provided by a professional DJ who knows what it takes to get your guests into the spotlight and keep everyone having a great time. Our experienced and friendly DJ Services allow you to relax and actually enjoy your event! started out as D’Karaoke-KJ in 1995 as a hobby. He did his first public show in the Karaoke Industry out of a love for singing, and having no venues in the area to enjoy his passion. Within a few short months his hobby had developed into a full time business, hosting in multiple locations across the area. It was not long before he was receiving many requests for DJ Events in addition to Karaoke shows; and as such he gained more and more popularity. Since he was now no longer just a KJ he needed a new name; thus DJ FanZ was born. Fanz has now joined the mykaraokedj family, & lives by the philosophy. “Do what you love and love what you do.” He has a deep love for music, and putting that love into his fanz ensures that he will love what he does for generations to come. Everyone should be lucky enough to make a living while doing what they enjoy. Welcome Fanz to the family. Not new to the Karaoke Scene but our latest addition to the mykaraokedj family, DJ Soul put’s the S in S-O-U-L. 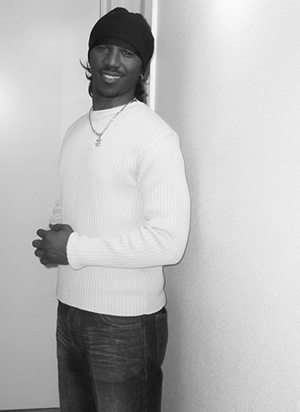 He has competed and won many karaoke competitions throught the DFW area. Soul has worked closely with Flex over the past few month’s and is now a featured DJ who hosts various shows for us throughout the city. He is well versed in Hip Hop & R & B and put’s the R in R-O-C-K. He is also a nationally recognized Artist. DJ Soule bring’s carissma like no othber to the stage. For years he Spinned at Sports City in Garland and hosted a karaoke show that received great recognition throught North Dallas. Welcome Soul the family as he continues to suprise with elegance and grace. DJ TDK has been an avid member and participant of the music industry for 25 years. He has been voted # 3 DJ in the World by his peers,which includes radio, club, and internet. 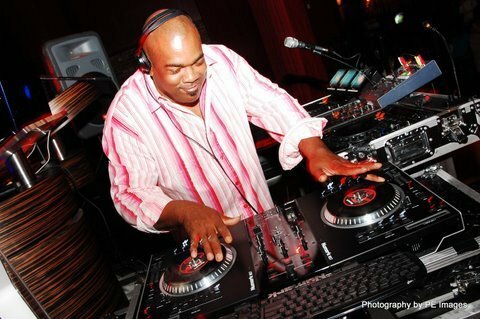 He served 6 years as a disc jockey for 97.9 FM The Beat in Dallas, TX.You remember him best from the “Rickey Smiley morning show…”the original chicken and waffle mix,” DJ TDK, known for his dedication to excellence, cutting edge mixes, and offering one hell of a party! Promoters often rally for his services. 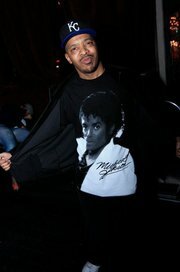 He is known for his ability to provide the best video tracks for dancing at the clubs and for the world’s best choreographers. With an in-house studio, TDK produces jingles, Mixed CD’s, the hottest audio and video commercials on the airways and audition tape production. He is currently spinning at the hottest nightclubs in Dallas (including World renowned Video club- Beamers),and the Music Factory. Catering to over 3,000 club goers nightly), WOET Internet and rockin XM Radio. He has received a Lifetime 20 years of Service Award from CORE DJ’s a world-wide DJ association. DJ TDK is on the fore front of Live Music Video Mixing (Offering over 125,000 music videos and custom remixes) Video Production includes graphics, logos, text and photos customized for your event. TDK is now sponsored by PIONEER ans Serato. He has continued to expand his knowledge and now offer’s DJ Classes and Tutorials. Click on our Facebook Link to contact him. Founder and CEO of BMW Entertainment. Before you make plans this weekend, you need to look at a totally new approach to an old form of entertainment. Tim Walker (CEO of BMW Entertainment) is no newcomer to urban entertainment, Mr. Walker holds a degree in Applied Arts and was a working actor in the late 80’s and early 90’s. This working actor turned professional DJ in 1993, has performed nationally under the pseudonym “DJ BMW” for the last 15 years. His rise to fame came in 1993 when he hosted an urban karaoke show at the legendary Dallas Cowboys Sport Cafe in Irving, Texas. The Dallas Cowboys Sport Cafe was the official hang out of the Dallas Cowboys football team during the height of their Superbowl championships in the 90’s. 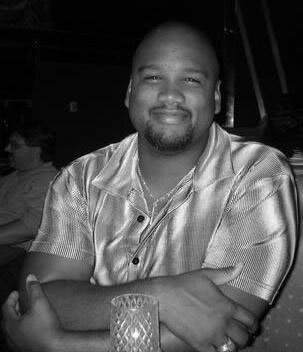 Mr. Walker has always been interested in taking traditional forms of entertainment and tailoring them to fit urban markets, the way he did karaoke in the early 90’s at the Dallas Cowboys Sports Cafe. His urban karaoke show created such a phenomenal buzz that it gained recognition not only on a national level, but on an international level as well. His urban karaoke show became a Dallas Must-Do on Thursday nights for 10 years. Urban markets are usually not the targets of traditional main stream concepts such as karaoke or dueling pianos. But to Mr. Walker, adapting traditional forms of entertainment to fit urban markets is a concept with unlimited potential. Keep your eyes peeled for his latest project, an urban approach to the traditional murder mystery dinner theater. Marc has worked closely with Flex over the past few month’s and is now a featured DJ who hosts various shows for us throughout the city. He is well versed in Hip Hop & R & B , Tejano, Techno, House and put’s the R in R-O-C-K. DJ Marky Marc brings a lot of versatility to our family. He enjoys music and playing for the masses.. He listens to almost about any kind of music..and likes to cook and watch cooking shows..He has been married for 13 yrs and has 5 kids n all 4 boys and 1 girl.. Welcome Marc the family as he continues to surprise with elegance and style. A True DIVA & Facebook Specialist, She walks the walk and talks the talk. If it’s “HAPPENING” around town, she probably got the party started. She’s truly the QUEEN of Entertainment and if you’re looking to have your venue promoted professionally with no-hassle and presented with style and class, then look no further. 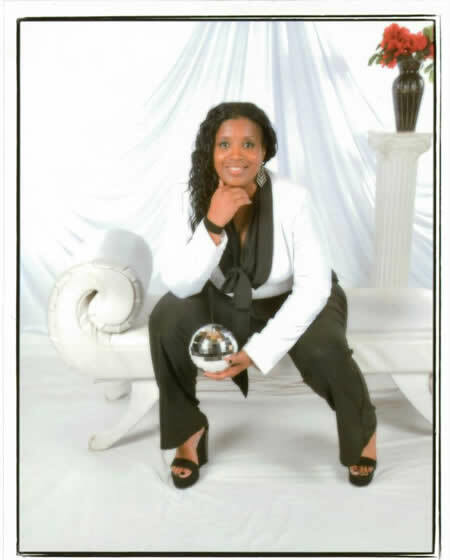 She has been with BMW Entertainment and the MY Karaoke DJ Family since it’s inception and she truly is the reason this “network” continues to flourish. So if you’re new in town, or have been around for a while and just need a little “spark” in your nightlife, feel free to give Meme a shout and she’ll be more than happy to help you promote your venue. She can be reached on her facebook link over on the left. DJ Dex (Dexter Lattier) was introduced to music at an early age. As a toddler, he began to dance before walking to “Hot Pants” by the Godfather of Soul, James Brown. He has a total appreciation of music of all kinds from classical to jazz and everything in between. Dex was introduced to DJ BMW sometime in 1993 at BMW’s famous “Cowboy Karaoke Thursday’s” at Cowboy’s Sports Café in Irving. It wasn’t long before BMW entrusted Dex to cover his Karoke shows when he was unable to do so and thus began a long lasting friendship relevant to this day. 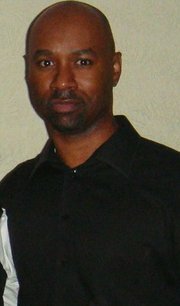 DJ Dex specializes in house parties, karaoke shows, wedding receptions, family reunions and birthday events of all ages. Energy and fun is what DJ Dex strives for and brings to the table to all his events. A Man of Many Talents They say dynamite comes in little packages. 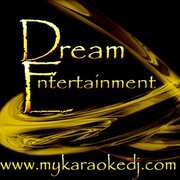 Laidies and Gentelmen, please welcome to the stage our newest member of the mykaraokedj.com family of DJ/KJ’s. Actually 2 Klean is more than a KJ. He is a musician of many talents and instruments. He has over a decade of D’Jing experience in most popular genres. He has done a ton of Weddings, and he also owns his own production studio and has produced videos with the likes of Charlie Boy and others in the Dallas Hip Hop & R& B Market. 2 Klean grew up in Dallas and actually attended many of DJ Dream’s Weekly shows for quite some time before being introduced to Flex. Dream and Klean instantly became a hit in with Duo performances on the Karaoke Scene and formed a special bond. When introduced to Flex in 2011, he amazed him with his turntable skillz as well as some local tracks that he had produced. It wasn’t long after that that he started working alongside Flex at the Austin Avenue location and so look for “2Klean” to host various shows in the DF DUB in 2012 starting with Branson’s Sports Bar on Wed Nights. If you need ’em we got ’em. Welcome 2 Klean to the family, and get ready to be taken to the next level at your next private event. Book a show with 2 Klean today. Or visit his Facebook page and hit him up if you need a high quality track or music video produced. Terrence LeBlanc is a very popular DJ who has been in the business for many years, and has parlayed his DJ knowledge into the Karaoke Market and is one of the few DJ’s that is fluent in all genres of music. Too many performers now days go to an event without knowing the first thing about the music they are hired to play. 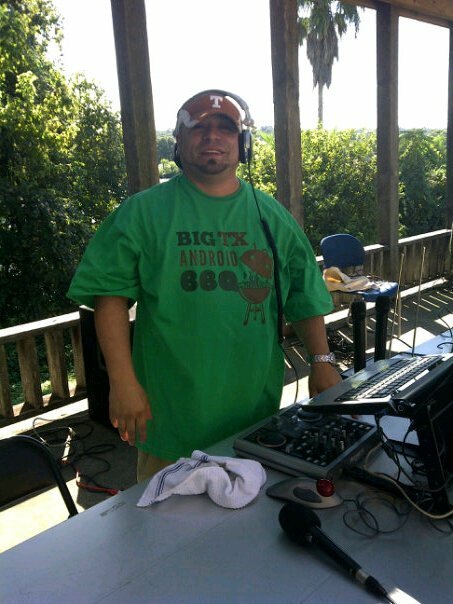 He was also a Dance Club DJ for several years, and has worked as the official Mobile DJ for CBS Radio, and currently works for a very popular Metroplex Radio Station. 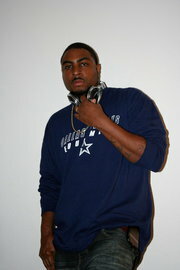 Terrence (DJ LoW) also is the DJ for VIP Sports and does the Pre Game DJ’ing at the new Dallas Cowboys Texas Stadium in Arlington,Tx and also has done private parties for some of the most popular Dallas Mavericks players. DJ KC is one of the latest additions to the BMW Entertainment Family. He’s been a sidekick for BMW for well over a decade and continues to assist BMW at various shows throughout the year. KC was introduced to DJ BMW sometime around the same time DJ DEX came onto the scene. It wasn’t long before BMW alo entrusted KC to cover his Karoke shows when he was unable to do so and thus began a long lasting friendship relevant to this day. 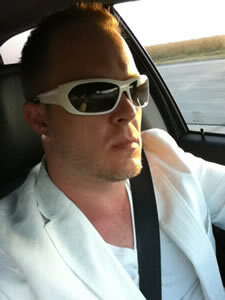 KC has a long history of private party DJ’ing as well as being one of the top-karaoke contest performers in the DFW area. For well over a decade DJ Dream has been one of the top performers in the DFW Metroplex. Winning competiton after competition over the years, he soon realized he had a passion for karaoke and wanted to get in on the action and start his own karaoke company. Since then he has joined the My Karaoke DJ and formalized Dream Entertainment. He began to follow BMW in the early 90’s and soon became a regular at many of the local shows. Later on he ventured off and started his own karaoke business and has hosted a variety of shows all over the country, but blood runs thicker than water and so Dream recently joined our ranks and now is the latest additon to the mykaraokedj.com family. Look for Dream to headline some of our newest shows during the latter part of this year as well as the beginning of 2010. 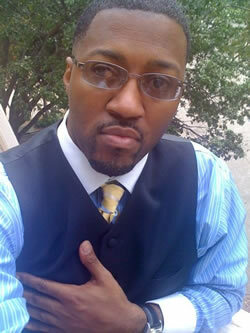 For well over a decade DJ BOBBY BLAZE has been one of the top performers in the DFW Metroplex. Winning competiton after competition over the years, he soon realized he had a passion for karaoke and wanted to get in on the action and start to work alongside DJBMW. Since then he has joined the My Karaoke DJ family. He began to follow BMW in the early 80’s and soon became a regular at many of the local shows. Recently, he decided to get in on the action and fill in for many of the DJ’s at private parties and many of our local shows. Look for Smoove to headline some of our newest shows during the latter part of this year as well as the beginning of 2011. This year we’ve decided to add something new to our Saturday Night Show at Austin AvenueII In Richardson. Our Weekly Domino Tournament is being headed up by the Legendary T.C. He is the founder of Bigg 6 Connection. T.C. 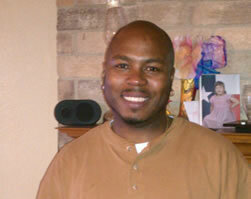 has been with Mykaraoke DJ since the Summer of 2011, and brings a lot of “street knowledge” to the game of Dominoes. He has been playing Dominoes since he began walking at the age of 2. Matter of Fact, “noe noes” was his first words. Every since he began to count, Dominoes has been his area of profession. There are many ways to play Dominoes but T.C. has Mastered how to run a tournament unlike anyone in his profession. Look for T.C. on the “smoking” side of Austin Avenue II on Satruday Nights heading up the show with DJ Flex. 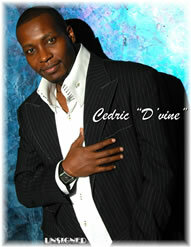 Cedric “D’ vine” Smith, Sr. has been involved in the music industry practically all of his life. Beginning in the third grade he began playing the piano and later teaching himself the drums, bass guitar, saxophone, marimbas and more instruments. He has always sung as like his mother had taught him by performing herself. Later around the 7th grade he and his best friend started a group and throughout the years he joined many more until he began opening up for professionals and touring in the 10th grade. Sharing the stage with stars such as Pieces of a Dream, After 7, Shirley Caesar, Montel Jordan, Tony Terry, Howard Hewett and many, many more, he has learned the entertainment business through many avenues like management, marketing, development, PR, choreography, producing (video, t.v., music) and much more. Producing radio commercials and promos for Ricky Smiley and Tom Joyner never hurt him either. By producing, writing, performing and composing four (5) album projects of his own and also others, he is definitely a force to be recognized. Now, seeing a new desire in the live performance industry he has decided to pioneer an endeavor that is all his own in the Dallas/Ft. Worth metropolis. He has now created a new service for vocalists into his Cedric D. Entertainment Company that consists of creating Karaoke Videos and Tracks upon request for the serious consumers that love to sing live with better music background vocals and great video effects and pictures specifically designed with the taste of the performer! Even if you wanted your original songs put into Karaoke Video format it’s yours at an affordable price and you can take it anywhere. 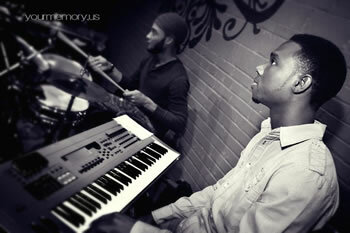 Entertain live at private parties weddings with your very own pictures giving your performance your style and flavor. HERE’S YOUR CHANCE TO SHINE… ON THE SCREEN! Need Us To Produce A Karaoke Track For You?